Looking to expand your living space without the hassle and major expense of moving to a new home? If so, consider investing in a four-season sunroom, which will allow you to enjoy the beauty of nature, 365 days a year, from the comfort of your own home. 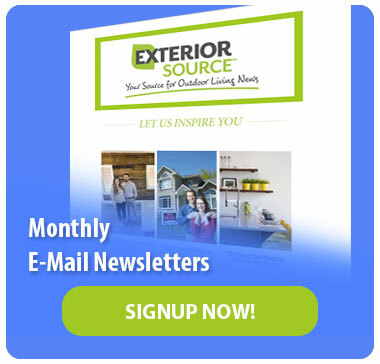 At Exterior Source, we’re excited to have partnered with Oasis® Sunrooms by Joyce to offer top-of-the-line, all-vinyl sunroom additions to homeowners. Why Choose an All-Vinyl Sunroom? What good is a sunroom if it’s too hot to enjoy in the summer, or too cold in the winter? To get maximum enjoyment and use out of your new sunroom, choose a vinyl sunroom rather than aluminum. Not only is vinyl quickly becoming the preferred choice among homeowners for sunrooms; it’s also taking over the siding and window industries. Low-Maintenance: A vinyl sunroom never needs to be repainted, as the color is embedded throughout the material. Vinyl is also very easy to clean. Tough & Durable: Vinyl is resistant to scratching, corroding and rusting, ensuring your vinyl sunroom will retain its good looks for many years even with heavy use. Energy-Efficient: Unlike aluminum and other metals, vinyl helps prevent heat loss and heat gain. 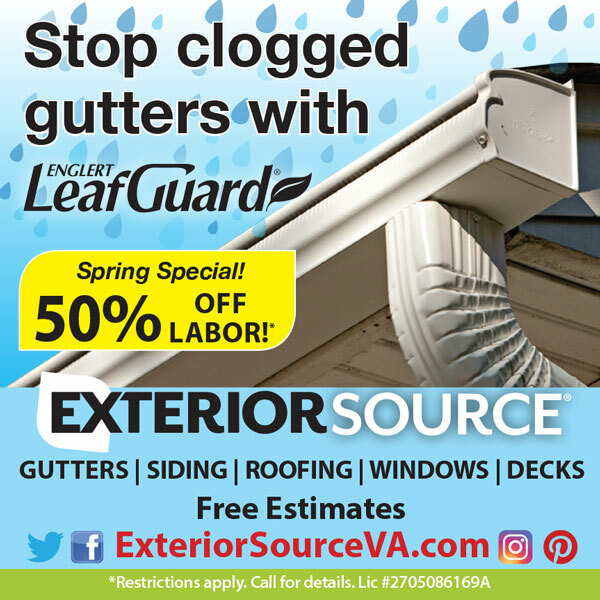 This means you don’t have to worry about your vinyl sunroom heating up in the summer, or turning into an ice box in the winter. In turn, you can enjoy lower energy bills as your HVAC system won’t have to work as hard to maintain a comfortable indoor temperature. Resistant to Extreme Temperatures: Vinyl does not shrink or expand when exposed to extreme temperatures. 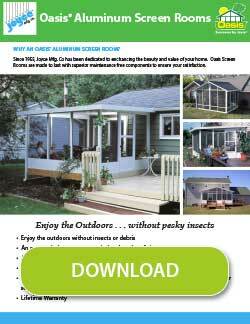 This further enhances the energy efficiency and durability of your vinyl sunroom. Unparalleled Energy Efficiency: Our windows resist heat transfer, meaning the sunroom will remain comfortable no matter what the temperature is outside. This also means lower energy bills for you. UV-Resistant: Our LoE 366 Insulated Glass blocks up to 95% of harmful UV rays, which prevents your furnishings from fading and does so without compromising the amount of visible light admitted into the space. 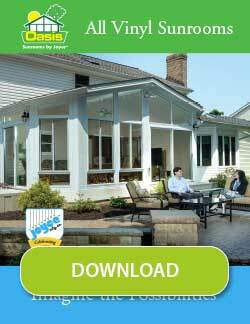 Tempered Glass: All vinyl Oasis sunrooms are fitted with tempered glass for extra protection. Interested in investing in a sunroom? Call our Richmond office at 804-275-5323, or our Tidewater office at 757-464-2060 today to learn more about our company and our sunroom additions.